Probus AE Antoninianus. 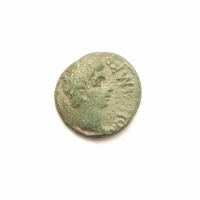 Siscia mint 276-282 AD. Obverse: IMP CM AVR PROBVS AVG, radiate, draped, cuirassed bust right. Reverse: FELICITAS AVG, Felicitas standing left, holding caduceus and cornucopiae, XXI in ex.